Yesterday I was in Switzerland high in the Jura mountains with the participants of One Planet Leaders, a joint initiative of WWF (World Wildlife Fund) and IMD (Institute for Management Development). One of the course leaders, Carolina Moeller, had asked me to run a session on Narrative Leadership because she liked something I had written for the Guardian Newspaper’s Sustainable Business blog a few months ago. We went from Lausanne by coach then walked for an hour or so in groups to our base-camp – a comfortable restaurant in the middle of nowhere. The snow has melted early this year, leaving only thin grey patches in shaded hollows. We were in no rush to get anywhere; our object was not to push ourselves towards a goal but to slow down enough to meet and be met by the landscape. Several times en route, Virginie – our irrepressible guide – dropped to her knees to show us fresh roe deer tracks; to trace the runnels created by burrowing voles; and to exclaim over a “crime scene” (a smear of rabbit fur: the tell-tale remains of a fox’s feast). As we drank our coffee at the restaurant, Virginie pointed out a group of six or seven large birds across the valley, riding thermals above the ridge, effortlessly soaring skywards. She handed me her binoculars. “Milan Noir,” she said. 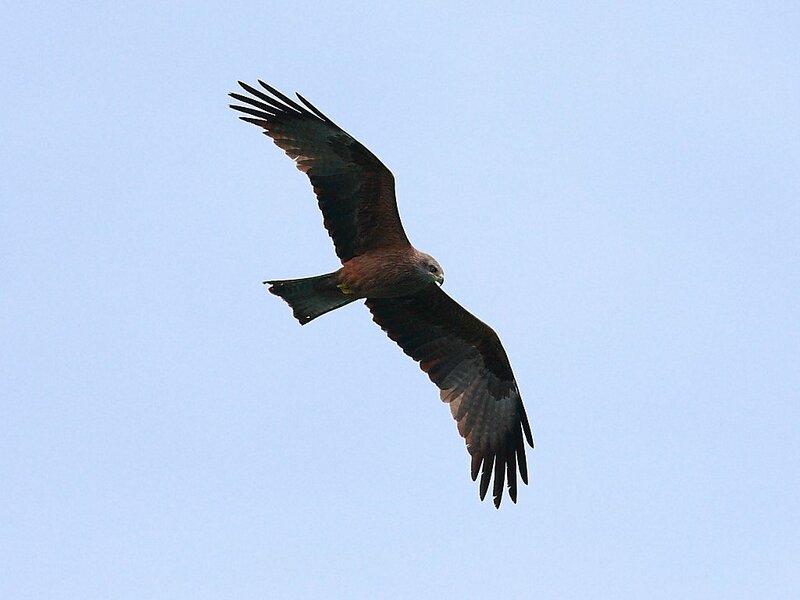 “Black Kite.” I peered through the eyepieces, squinting against the bright sunlight, my eyes streaming. I could only hold them in focus for a few seconds at a time. As I watched, a sailplane suddenly slipped through a nearby cloud and joined the circling birds. exchanged stories of how we had come to find our work in the world; we delved into the power of stories to create meaning from our experience; and we considered the kind of language that might help to reframe sustainability narratives into ones that the corporate world can understand and start to live. I came away with a sense of being hugely privileged to have met such a fascinating and diverse group of people and to have contributed to such a significant and worthwhile programme. I shall remember for a long time the image of the sailplane soaring with the kites as a symbol of the possibility of joyful participation with our fellow creatures in this extraordinary and magical world. A few days ago I went back to the International School of Storytelling at Emerson College to give a performance of The Storyteller’s Tale with my friend, singer and musician, Shanee Taylor. It was a good evening: an enthusiastic audience (mainly students at the School and friends from Forest Row) and about £175 raised for Baale Mane, a home for girls rescued from the streets of Bangalore. I have adapted the story (with permission) from the novella of the same name by Omair Ahmad. It is a stirring tale of banditry, betrayal, unlikely friendship , storytelling and dangerous love set in 18th century India and I love to tell it. But it is long and complex with a large cast of characters and several interwoven stories, and telling it is always a challenge. As well as remembering the action and the dialogue, I have to reach into my imagination to describe the sights, sounds, scents and textures of the landscape. At the same time, I must try to recreate the unique features of each character: bandit chief, begum, emir, prince, wood-cutter’s son, magistrate, seductress, servant, and the storyteller himself. Each time I tell the story I learn a little more about the world these characters inhabit; each time I learn something more about my own capacities and limitations as a storyteller. No telling is perfect (indeed to seek perfection would ossify the performance) but each time there are moments – and sometimes more than moments – when my imagination soars. At such times, both I and the audience are transported to places we can only ever visit in flights of fancy. I am reminded of some lines from a wonderful song: King of Rome written by Dave Sudbury. The song moves me to tears every time I hear it. Maybe because, as a storyteller, I sometimes feel the same way: I can’t fly but my stories can. Here is my favourite version, sung by June Tabor (allow a few seconds for the audio to begin). 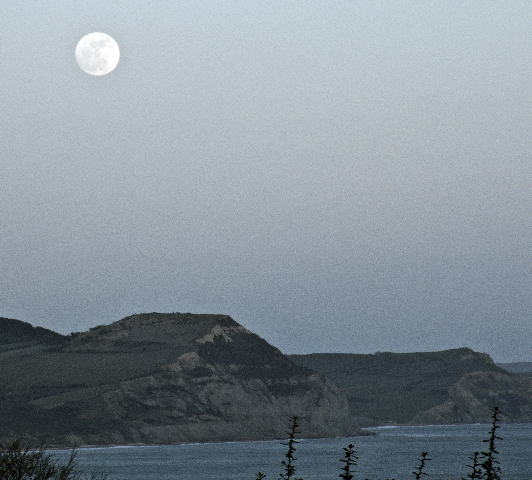 My friend Gary Baxter took this picture of the moon over Golden Cap from the back garden of my flat in Lyme Regis earlier this month. It was effortless for him – skilled as he is – to flick the dials of his digital SLR camera to exactly the right settings to capture the light cast by the full moon that particular evening. The dance of light and shadow on the sea and the fragile blue lias of the crumbling cliff-faces of Lyme Bay is always changing and endlessly fascinating. This is “coast” not “sea-side” and the image reminds me of why I chose to live where earth, sea and sky meet. In this liminal place of seagulls and songbirds, I open the french windows and my small flat feels infinitely large; I sit at the kitchen table to write and immediately feel myself connected to a much bigger world. Then my everyday home becomes a kind of sacred space dedicated to the expression of creativity, where ideas come and words flow. Stephen Nachmanovitch (whose brilliant book Free Play: Improvisation in Life and Art every artist and writer should read) likens such spaces to the ancient Greek idea of the temenos: a place set aside in which to honour the gods. There we can more readily encounter our unconscious (the deep wellspring of imagination) and more fittingly entertain the muse should she pay us a visit. The lure of paid work as an organisational consultant takes me far and wide. It is good work and I am privileged to be able travel around the globe but I have been too long on the road and my writer’s soul aches for home. 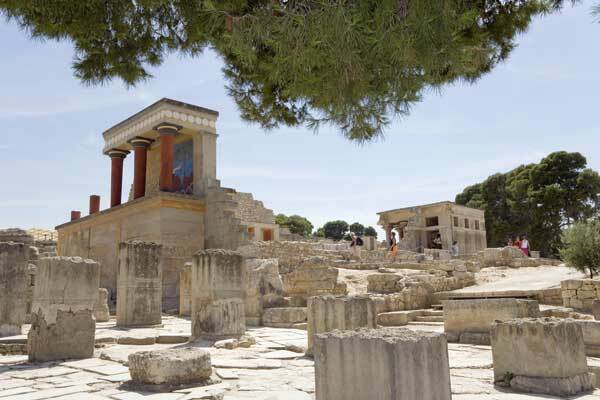 Perhaps, undiscovered beneath the Cretan palace of Knossos, there still lies the labyrinth created by the legendary Daedalus to house the fearsome Minotaur. The myth is well-known: Theseus, Prince of Athens contrives to join the seven youths (and seven maidens) sent as tribute to King Minos to be sacrificed to the bull-man; Ariadne falls in love with Theseus and helps him to retrace his steps out of the labyrinth once he has slain her monstrous brother by unwinding a skein of flax as he descends into the depths. We [do not] risk the adventure alone; for the heroes of all time have gone before us; the labyrinth is thoroughly known; we have only to follow the thread of the hero-path. And where we had thought to find abomination, we shall find a god; where we had thought to slay another, we shall slay ourselves; where we had thought to travel outwards, we shall come to the centre of our own existence; where we had thought to be alone, we shall be with all the world. So, I celebrate the heroes and heroines of the Top Management Programme: the participants I have known during the three years I have been a member of the faculty. I salute their willingness to enter the labyrinth in their determination to become the best leaders they can be. I remind them to hoist the white sails when they return home and I look forward to hearing of their future exploits. And what of the faculty? How should we understand and celebrate our role? The same myth provides a clue, for it is the inventive artist-scientist Daedalus who gives Ariadne the skein of flax needed by the hero to find his way back out into the world; flax that Daedalus … has gathered from the fields of the human imagination. Centuries of husbandry, decades of diligent culling, the work of numerous hearts and hands, have gone into the hackling, sorting and spinning of this tightly twisted yarn. Let us therefore aspire to be dedicated (like the Daedalus Campbell describes) to the morals not of our time but of our art; to be heroes of the way of thought – singlehearted, courageous, and full of faith that the truth, as we find it, shall make us free.